Ears are tipped fox ears,that have airbrushed details. 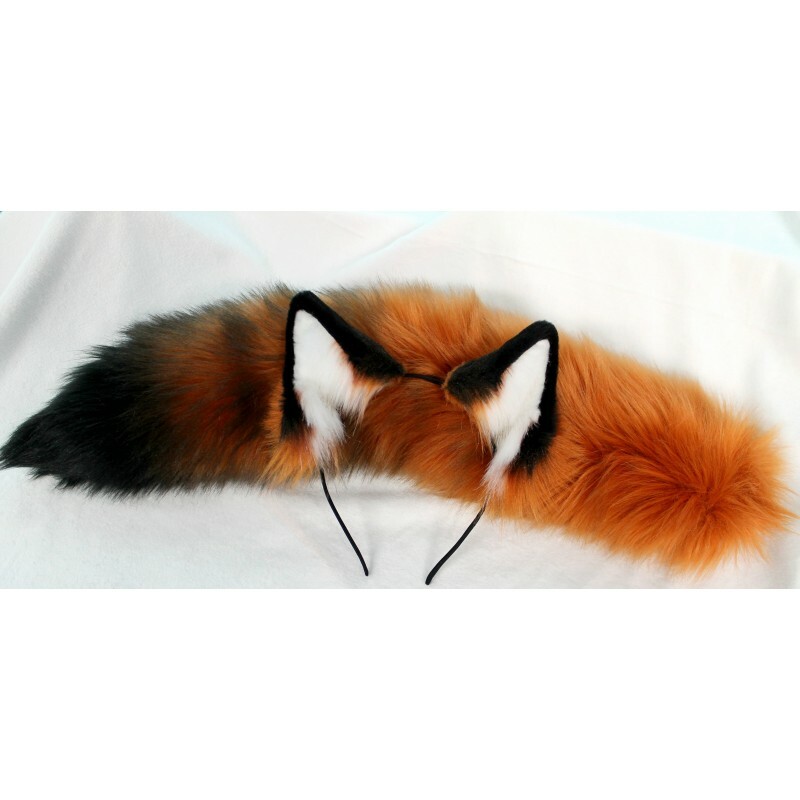 These are the same ears we list as "hand painted fox" :) The tail is a 24" fox tail with a black tip,and additional black airbrushing to create a gradient look. I am absolutely in love!! M’y tail just came today, and boy am I extremely happy!! I’ve been wanting to buy this tail for ages and i finally got to get it! It’s super soft, and I love that it seats as you walk! Thank you guys so much!! Absolutely high quality!! I only got the tail from the set but it is incredible! Maybe a little more orange than in the picture but the airbrushing is on point. I got mine fully wired and love it!